The Mark S. Bonham Centre for Sexual Diversity Studies: the Centre offers an undergraduate program, a collaborative graduate specialization (MA and PhD), hosts academic and community events, and promotes research into sexuality. It is a hub for forging connections among faculty, undergraduates, graduate students, and community members interested in questions about how we understand sexual diversity and sexual practices. The Centre is housed at University College, University of Toronto. Its undergraduate programs are available to all students in U of T’s Faculty of Arts and Science. Undergraduate programming in Sexual Diversity Studies was first established in 1998, and now includes a Specialist, Major, and Minor program. SDS also has its own interdisciplinary courses at the 2nd, 3rd, and 4th year levels, including independent studies and 4th year seminars. Massey College: a graduate students’ and senior scholar community affiliated with, but independent from, the University of Toronto. The College provides a unique, congenial and intellectual environment for graduate students of distinguished ability in all disciplines to share in a rich and stimulating community. 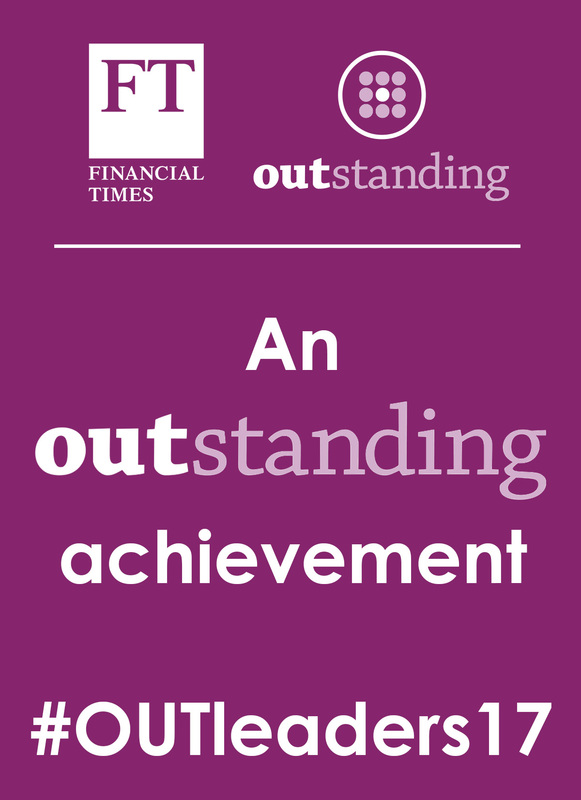 In addition to the students affiliated with the College, who are known as Junior Fellows, other members of the community include distinguished senior scholars and eminent members of society beyond the academic world, know as Quadrangle Society Members. The College is a partner with the CBC and House of Anansi Press in the annual Massey Lectures, and also coordinates the annual Walter Gordon Symposium. Massey College is home to the Canadian Journalism Fellowships and, together with the School of Graduate Studies, supports the Scholar-at-Risk program. The Rt. Hon. Vincent Massey, former Governor General of Canada, and the Massey Foundation are the founders of the College. It is the Founders’ prayer that through the fullness of its corporate life and efforts of its members, the College will nourish learning and serve the public good. The Toronto Botanical Garden: The gardens are designed to educate and inspire, spanning four acres within Toronto’s Don Valley Ravine. Admission to the gardens is free. Indoor and outdoor learning experiences are available for all ages including courses, garden tours and nature camps. During the summer enjoy dining at the garden café, a Thursday organic farmers’ market, free guided tours and a free outdoor music series. The LEED Silver-Certified Building houses a truly unique garden shop and horticultural library and is available for social and corporate rentals. The TBG has embarked on a $52 million expansion, incorporating an addition 35 acres and a multitude of new gardens, buildings, greenhouses, and more. 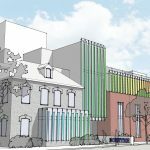 The Egale Centre: Canada’s first and Toronto’s only facility that will combine the proven counselling services of Egale Youth Outreach with emergency and transitional housing exclusively dedicated to serving homeless LGBTIQ2S (lesbian, gay, bisexual, trans, intersex, queer, questioning and Two Spirit) youth. Located in downtown Toronto at Dundas Street and Sherbourne Street, the capital campaign raised over $12 million and construction began in November 2017 with completion expected in late 2018. 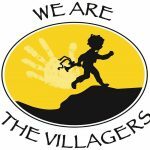 We Are The Villagers: WATV has made it our mission to help families and their children participate in extracurricular activities of interest to them. Whether sports, music, art or other special interests, we sponsor children in need so that they may take part in these activities without being restricted by registration fees and equipment costs. Operating in 19 local communities in northern Ontario, with over 450 children enrolled in its programs. 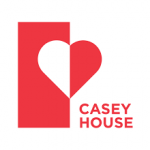 Casey House Hospital: Casey House is Canada’s first and only stand-alone hospital for people with HIV/AIDS. In 1988, the disease was stigmatized, and so were the people who lived with it. Fear ran so deep that Casey House’s first patient was delivered to the door by a team of medics wearing hazmat suits. He was greeted by Casey House with an embrace. It was the first time he’d been touched in months. Casey House is still one of the few places where people with HIV/AIDS can seek care without judgement. We are more than a place that saves lives, we are a place that speaks up, shines understanding through compassion, and empowers our clients to get better. We make our clients’ humanity more visible than their disease. We warmly welcome you to Casey House. 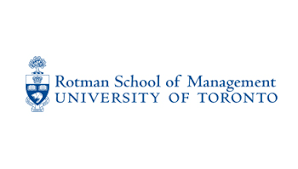 The Rotman School of Management, University of Toronto: located in downtown Toronto, the school offers undergraduate, graduate and doctoral programs in business administration, finance and commerce, including full-time, part time and executive MBA programs along with a Master of Finance program, a Master of Management Analytics, a Graduate Diploma in Professional Accounting, and a doctoral program, the Rotman PhD. Additionally, in collaboration with other schools at the university, it offers combined MBA degrees with the Faculty of Law (JD/MBA), the Faculty of Applied Science and Engineering (Skoll BASc/MBA), and the Munk School of Global Affairs (MBA/MGA); and Collaborative Programs in Asia-Pacific Studies and Environmental Studies.